There are already a few variations available of the CryptoNight algorithm and different coins are using different versions, so it is hard to keep a track of all and use a different miner for the slightly different version. 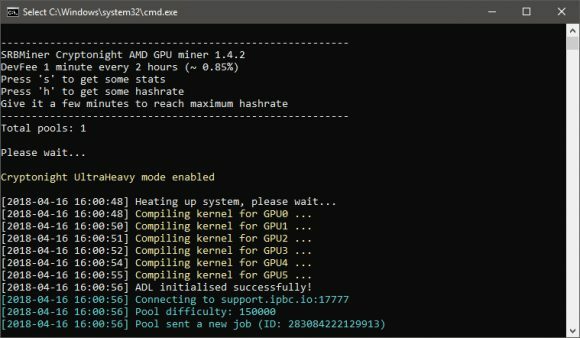 The SRBMiner Cryptonight AMD GPU Miner might help you here as it pretty much supports all of the variations of CryptoNight for now for AMD GPU miners, for example the just forked IPBC that decided to go for Cryptonight UltraHeavy (CN Light Custom v3) instead of the regular V7. SRBMiner is a closed source miner and comes with a built-in developer fee of just 0.85%. 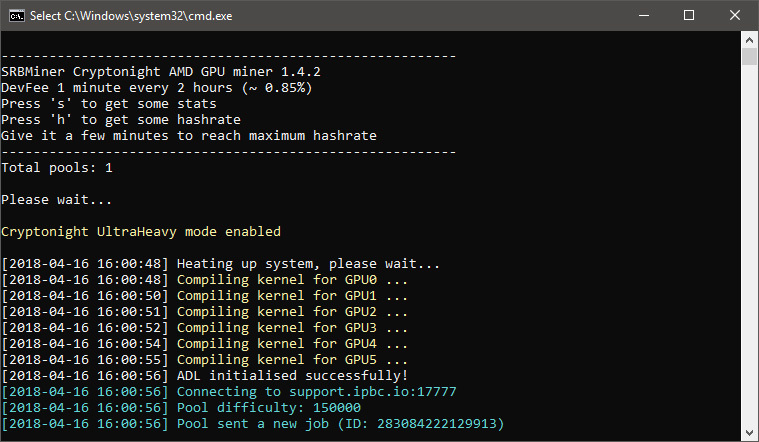 The run the miner you just need to do some simple tweaking of the config.txt file like setting the intensity (leave it to 0 for auto) and choose the right algorithm, then just set the pools in the pools.txt file (more than 1 pool to have failover support) and run the miner. The miner works on older and newer AMD GPUs, including the latest RX series, but you should not have issues with older GPUs as well. We are not surprised by the announcement from Halong Mining about their new DragonMint X1 and DragonMint X2 Cryptonight ASIC miners as the company had already mentioned on twitter a few days ago that they will be releasing such miners. The Halong Mining DragonMint X1 miner should be capable of 124 KH/s hashrate with 245W power usage, costs $1714 USD with a power supply and should start shipping in April 25-30. 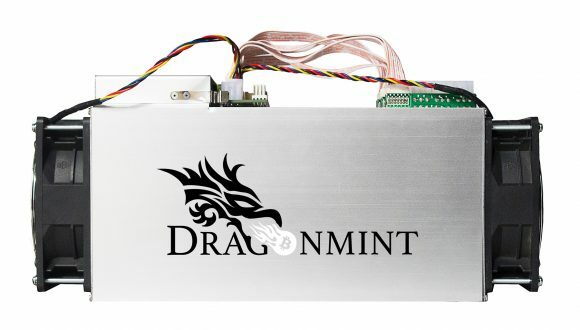 The more Halong Mining DragonMint X2 miner, as the name suggests, should be offering double the performance or with other words 248 KH/s at 490W of power usage at a slightly better price than ordering two X1 miners – $3115 USD with a power supply and shipping should also start by the edn of next month (April). This offer is more like a real competition to Bitmain’s X3 Cryptonight ASIC miners performance wise and at a much better price and shipping earlier. What is there not to like in some real competition on the Cryptonight ASIC miners, but then again these devices might also end up as expensive door holders as well by the time they start shipping. With Monero (XMR) and other Cryptonight-based crypto currencies announcing plans to fork to a new version of the algorithm that should make them ASIC proof again things are not looking very favorable for ASIC miners. 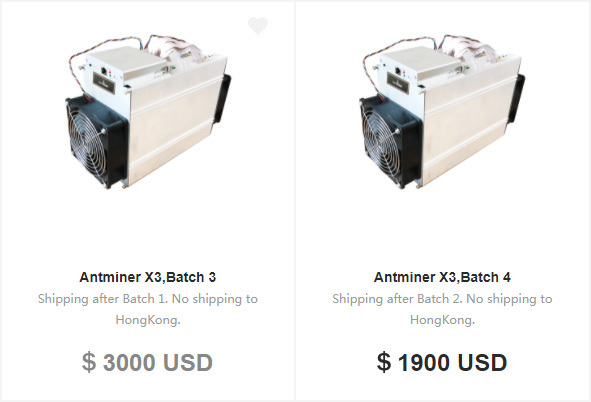 So again a word of warning if you are interested in the recent wave of Cryptonight ASIC miners, be extra careful when making your plans should you decide to order any of the miners already available or coming soon to the market.